Miss Berry asks Mrs. Buck to send a Baltimore Telephone Directory to replace the inadequate addresses on their mailing list. She also discusses the amount of students attending Berry during the term. 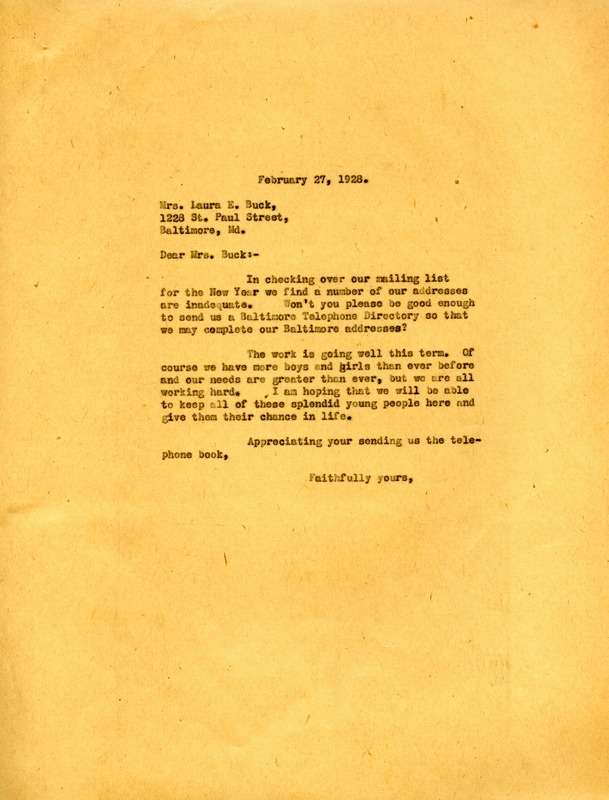 Martha Berry, “Letter to Laura E. Buck from Martha Berry.” Martha Berry Digital Archive. Eds. Schlitz, Stephanie A., Meg Ratliff, et al. Mount Berry: Berry College, 2012. accessed April 19, 2019, https://mbda.berry.edu/items/show/6828.